To celebrate the 1 year anniversary release of Lakker’s 2016 conceptual stand-out, Struggle & Emerge on R&S Records we have released all the original archival films and field recordings exclusively used by the duo to compose the record in one massive sample pack. Struggle & Emerge is an 8 track conceptual LP inspired by the tumultuous and bipolar relationship between the Netherlands and water. The duo were commissioned by the Netherlands Institute for Sound and Vision’s RE:VIVE initiative to turn archival films and field recordings related to this theme into an inspired release. To gain insight into the topic Lakker journeyed to the Netherlands to confer with leading researchers and engineers. A short documentary about their experience is available here. This sample pack contains 7GB of the films and field recordings from the Netherlands Institute for Sound and Vision, the national audiovisual archive of the Netherlands. Within are landmark films like celebratory finalization of the Afsluitdijk, a 32km long, man made barrier that cut off the North Sea from the Ijsselmeer in 1933 to haunting aerial footage from 1953 following the catastrophic North Sea Flood which decimated the Dutch province of Zeeland. 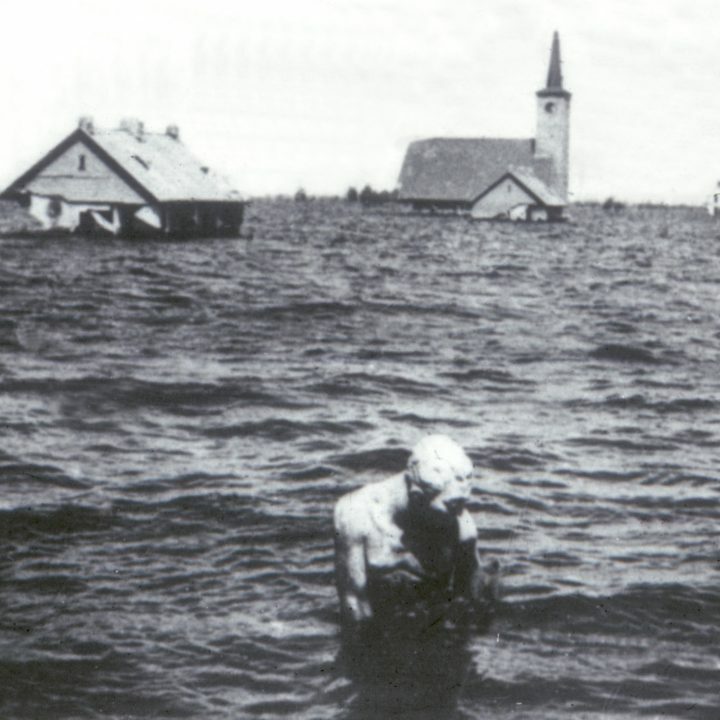 The selected field recordings offer a wide sonic array of mechanical sounds from the machinery that keeps the Netherlands safe from the ever rising water. But while the Netherlands is under constant threat from water, it has also become a close friend for the Dutch people bringing more joy and serenity now than fear and destruction. The sample pack audivisually documents this as well with footage of fierljeppen competitions, world class ice skating, sailing and other quirky recreational hobbies the Dutch have come up with. Peaceful field recordings of gentle rain, the impressive coastline and sailing trips are audible too. Zooming in on these sounds Lakker flexed their sound design and compositional muscles, straying away from the dark techno of their previously releases and explored new tempos and textures all while retaining their cinematic sound. See all our sample packs here. All sounds in the sample pack are available for free by the Netherlands Institute for Sound and Vision under a Creative Commons BY-SA license.